For as long as I have been conducting research in Lima, I have heard that the transit system is an analogy for the city’s character. 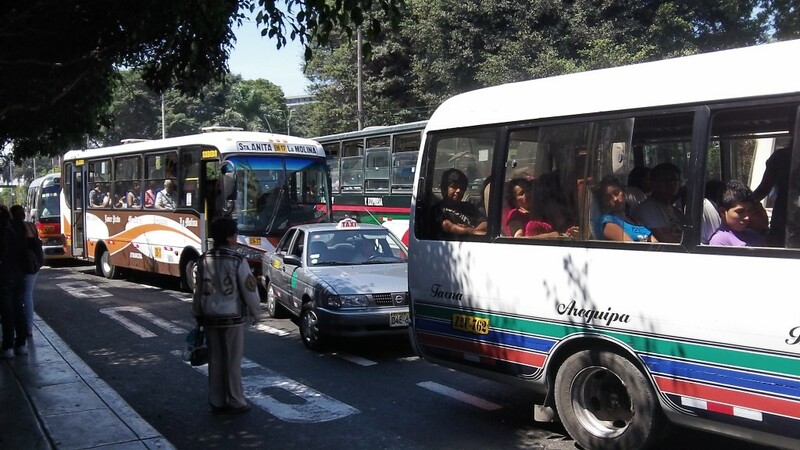 I first came here in May 2009, and at the time Lima was populated by a tangled, unmapped network of privately-owned vehicles called combis that sped maniacally around the city and swerved in front of each other in competition for passengers. I saw the combis every day as I walked to the grocery store, bus after bus with seemingly nonsensical words painted on the side and agile ticket takers who hung outside the moving vehicles to scream destinations I didn’t yet know. After a few days I started riding the combis myself and began to learn their rules, but when I started to ask people about etiquette and combi history I was surprised to find that many limeños harbored more worries about the system than I did. The combis were too dangerous, they told me. They were inefficient and dirty, full of badly educated workers who drove dangerously to get as many fares as possible. No developed country could possibly have such a transit system, they said, and the fact that Lima still relied on such a chaotic mode of transport was evidence that Peru as a whole was lacking. Yet as I returned to Lima each year and watched the government begin unveiling a series of replacements for the combis – first a bus called the Metropolitano with dedicated lanes on the highway, then electric trains with farecards like those in New York or Chicago – I heard more and more conflicted assessments of the system that was being created. To me the introduction of the Metropolitano looked like the beginning of a sea change, but when I suggested as much to limeños they were often more wary than optimistic. No one could say yet if these small steps would lead to the progress they had been wanting. I didn’t come to Lima to research its transportation system, but lately I have found myself feeling a certain kinship with it. 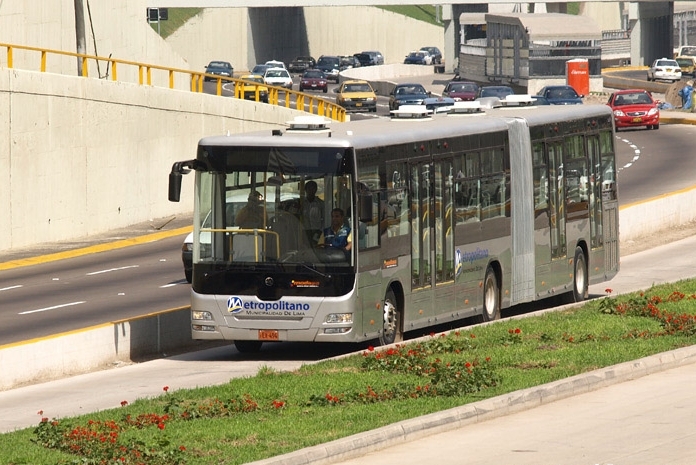 The first dedicated Metropolitano bus lanes were cleared during the months that I began my PhD program in anthropology, and in the five years since, the system has been inching toward its goals, offering free trial periods and explanatory diagrams in the papers before finally becoming a functioning bus line that people understand and use daily. In conversations and newspaper articles about Lima’s place in the world, the Metropolitano is mentioned as a very tangible example of the long process of “avanzando poco a poco” (advancing little by little), much like learning a language happens poco a poco or developing a career happens poco a poco. I am beginning to realize that anthropology is something that happens poco a poco too. After all, it has been almost three years since I first came here to scout field sites, and it will be another few years before I finally have a PhD. In between those two points is a period set aside for fieldwork, which in my case consists of sixteen months of interviews and participation in various aspects of Peruvian culinary life. And in this particular segment of my own poco a poco endeavor I have something else in common with the way limeños describe their transportation: I have such a long way to go before I am a “real” anthropologist that I am not always sure I am progressing at all. When I started fieldwork last year, I imagined that I could organize my research by creating lists of tasks to do each day. I would know I was moving forward when I crossed things off the list, and I would know I was ready to write a dissertation when no more tasks remained. I came to Lima to study the growing international fame and economic potential of Peruvian cuisine, and my plan was to interview and work with people from various points in the food supply chain, observing workers in kitchens and students in culinary schools. I proposed to study changes in these individual lives as a way of understanding how people relate to each other when new economic opportunities emerge. What is it like to be a limeño culinary student, a chef, a street vendor, an employee in a food corporation, or a member of Peru’s official gastronomy society? What do these people want their lives and communities to look like, and how will producing and selling their newly world-famous cuisine accomplish those goals? A repurposed combi. 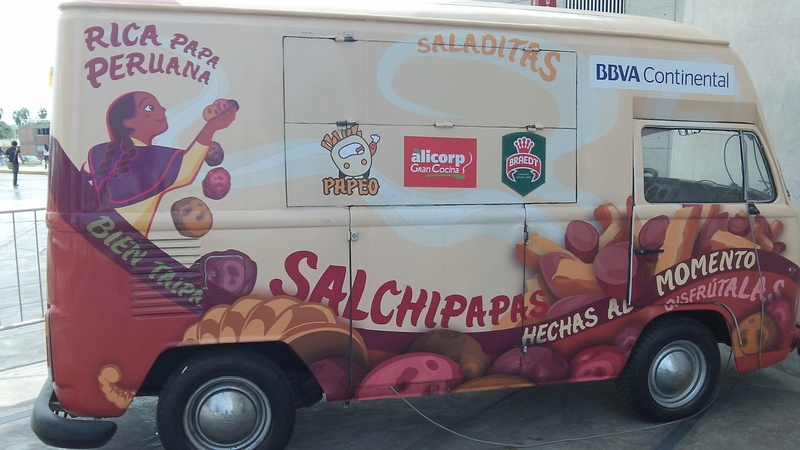 Students at the Pontificia Universidad Católica del Perú designed this vehicle as a prototype for a much-publicized program run by the Municipality of Lima. Matching entrepreneurs with vehicles remade as food trucks, the program aims to 1) provide a space for the regulated, hygienic sale of street food and 2) “recycle” old combis. Before I arrived, I pictured myself answering these questions by neatly building a web of chef and culinary worker acquaintances from contacts I had made during my preliminary visits. I imagined that with a little work these contacts would converge and overlap, that I would become part of a coherent group of people whose events would fill my calendar and whose schedule would become my own. But fieldwork has not been so straightforward, and the coherent group I imagined is far more fragmented and dispersed in reality. My contacts did indeed introduce me to other people, but there are lengthy delays as they go to their beach homes or leave the county, lose track of my messages or become enmeshed in more pressing concerns. Worse, after a few early false starts I learned that it is more polite in Lima to delay an interview indefinitely than it is just to say no in the first place, and I began to have trouble distinguishing between the friendly acquaintances that were avoiding me and the ones that were simply extremely busy. For weeks I found myself writing fieldnotes that detailed minute aspects of what seemed to be nothing, writing emails and making phone calls that were never returned. I hoped that if I persisted, I would eventually talk to the people I needed to talk to, cross things off my list and add more items to do, but until that happened I concentrated simply on filling my days. I subscribed to newspapers and attended book presentations, went to restaurants and chatted with neighbors. I met culinary students who took me on tours around their schools. 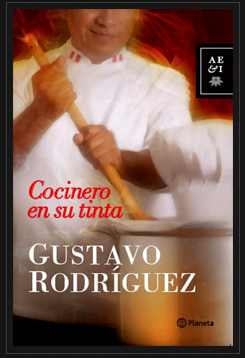 I watched prime time cooking shows and went to food festivals; I read Peru’s “first novel of the gastronomy boom” and went to public cooking classes advertised in the backs of magazines. I took photos of billboards and displays in grocery stores. I wrote about all of these things and hoped it would be useful someday, but I didn’t feel like I was doing real fieldwork. When I told Peruvian friends that I was frustrated about how slowly my work was going, they reassured me that everything advances poco a poco. But it was in these moments that I felt the most foreign and discouraged, because the more I heard the phrase, the more I wondered if “poco a poco” is what people say when they are waiting for something that might never come. And then one day, suddenly, I realized that I wasn’t waiting anymore. I went to a book presentation and saw a group of women I had met the month before, who reintroduced me to a man I met in 2010, who took me to meet a key figure in the gastronomy society. People started emailing me out of the blue, copying their friends so that they would know who I was. When I finally interviewed a woman with whom I’d been playing phone tag for weeks, she said, “I told my friend at the culinary school about you, and she already knew who you were.” (It turned out the man from the gastronomy society had called her too.) I found myself scheduling more appointments and meeting more people, and I started to see patterns in my notes, connections between what my interviewees said and what I’d been learning during all of those months of what seemed like nothing. And eventually when I introduced myself as an anthropologist I realized I had started to believe it. I still make lists each day and hope to cross things off, but now I think that the progress that happens poco a poco is the type that is never quite done. The things that I have gained are intangible but pervasive: accrued experiences, changes in perspective, the ability to ask better questions or hear different things than I did before. None of these changes indicates exactly what my dissertation will look like or when my research will be complete. But in this respect I take comfort in knowing that I’m like many people in Lima. Whether progress comes in the form of a better train system, a more inclusive chef education, a more lucrative tourist industry, or a new and perfect dessert, few people here are sure of what they are going to create in the end. We just know, little by little, that we’re on our way. 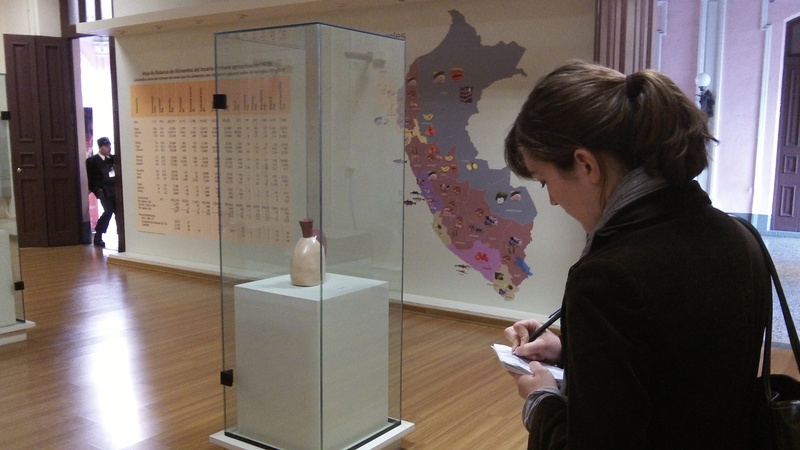 Amy Lasater-Wille is a doctoral candidate in anthropology at New York University and an affiliated researcher in the social sciences at the Pontificia Universidad Católica del Perú. She is currently conducting dissertation research in Lima, Peru, focusing on the social impact of the recent growth of Peru's culinary industries domestically and abroad. Her research is partially funded through a grant from the National Science Foundation. 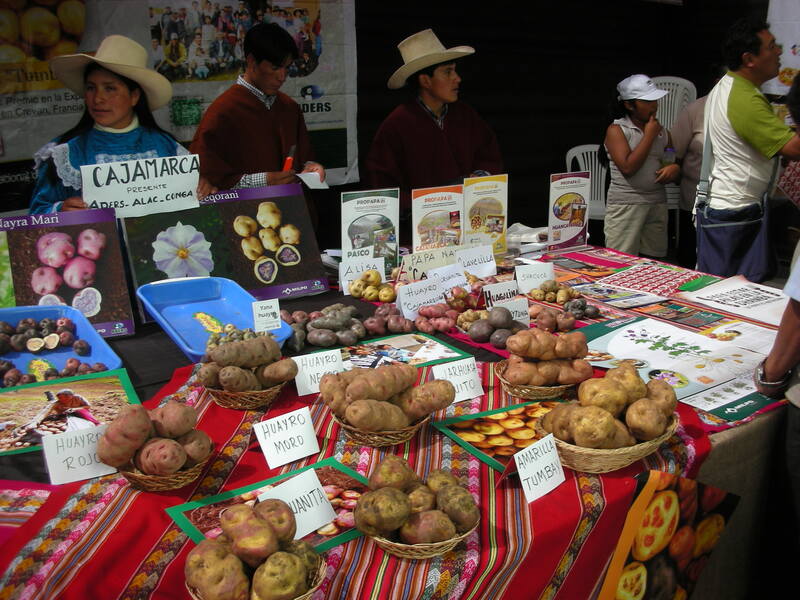 This entry was posted in Fieldnotes and tagged development, food, Lima, Peru. I work in Lima too, among middle-class families. I found your article to be spot on. You also made me hungry and a little second-home sick.